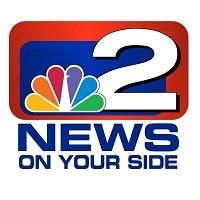 WGRZ-TV, Buffalo, New York’s NBC affiliate, has named Kate Glover as news director. Most recently, she was news director at KOIN-TV in Portland, Oregon for two years, and was the assistant news director for six months before that. From 2012 until 2014, she was the director of news and local programming at Time Warner Cable. Follow WGRZ-TV on Twitter.